LOVE getting all the Hunger Games news from you!! 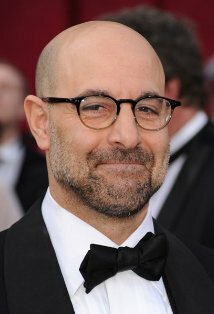 I love Stanley Tucci so I feel a bit squeamy imagining him as evil President Snow but I think he'd be great in the role. Stanley Tucci haaas to be Cinna!! I absolutely love him, so that would be awesome! That is why Stanley Tucci is so great it would make a Perfect Cinna or a perfect evil President Snow. I just love him. I think Lenny is pretty hot, I would mind seeing him on the big screen. Like Abby, I love Staely Tucci but just don't see him as Cinna. I envision someone younger and more "hip". I do think he'd make a great Snow though!